Washable Advanced Odor Control (AOC™) Carbon Filter; reduces odors and traps large particles. Genuine Winix one year replacement filter set. For optimal performance, it is recommended to change both the True HEPA Filter and Washable AOC™ Carbon Filter once every 12 months. 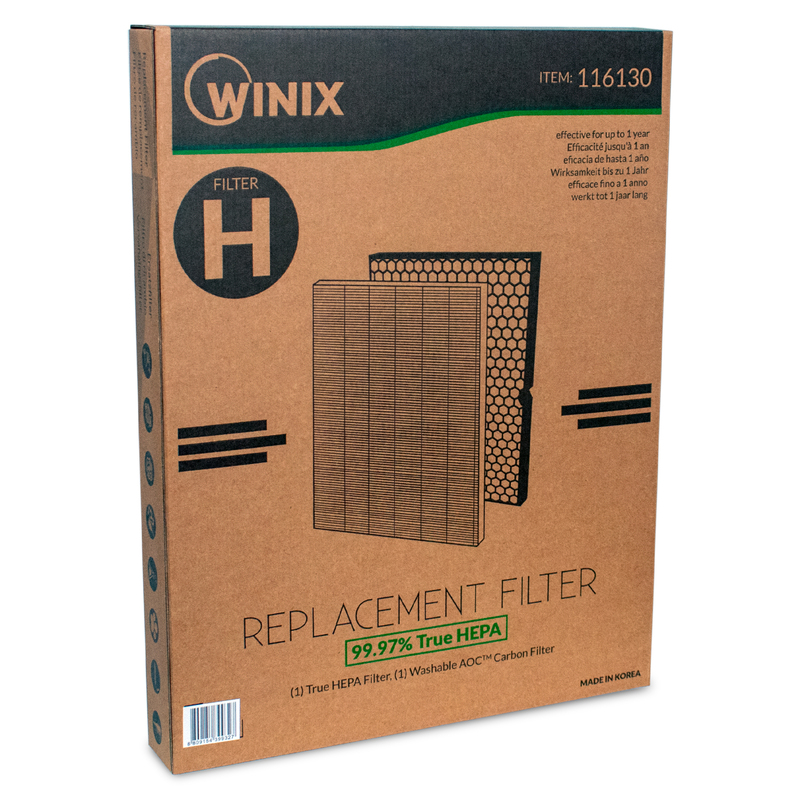 The Winix 116130 Replacement Filter H is a complete one year filter set. The True HEPA Filter captures 99.97% of particles and impurities as small as 0.3 microns, including pollen, mold, dust, pet dander and hair, other allergens and cigarette smoke. 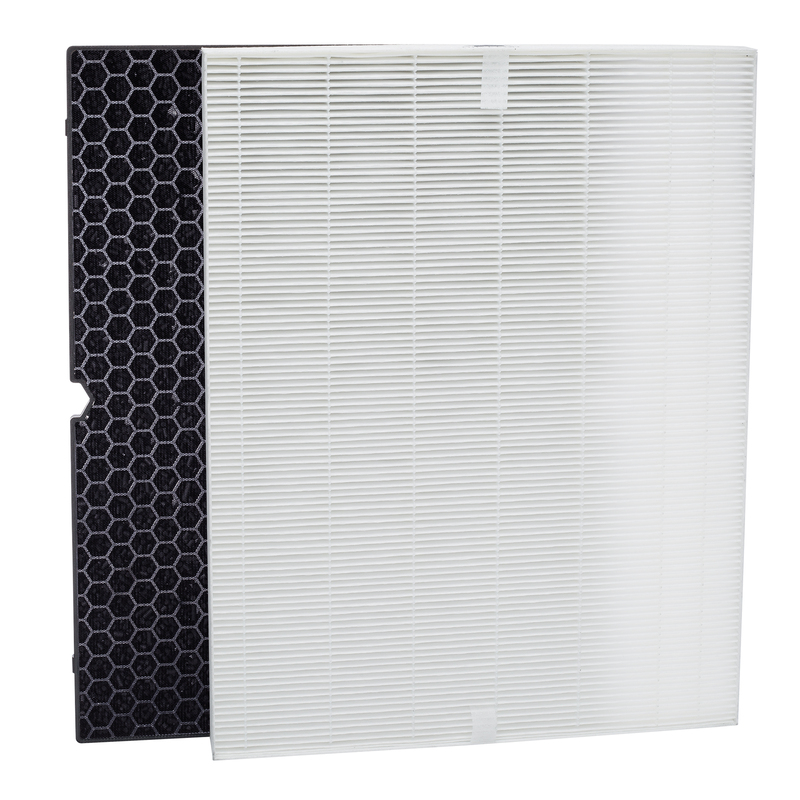 The Washable AOC™ Carbon Filter uses activated carbon granules to trap large amounts of odor in the environment, extending the life of the True HEPA filter. The genuine Winix Filter H is compatible with Winix Air Purifier unit 5500-2.